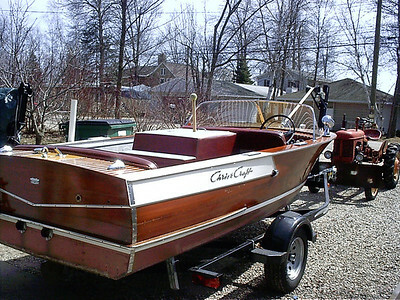 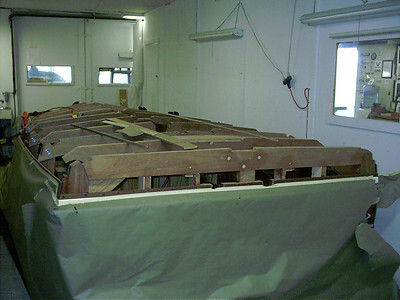 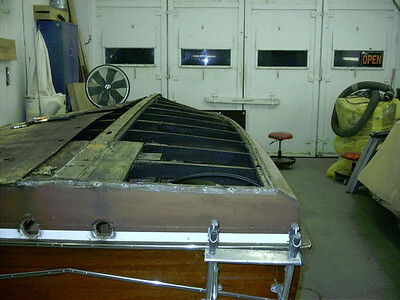 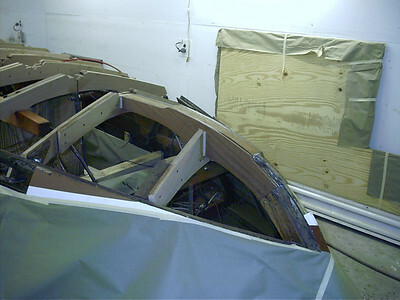 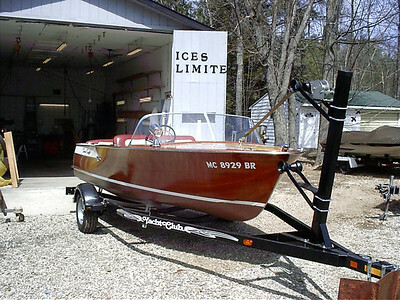 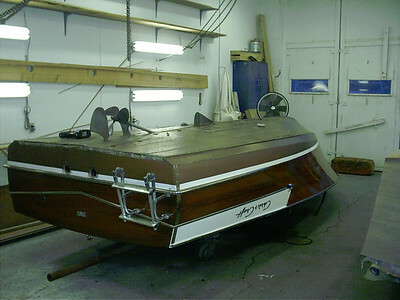 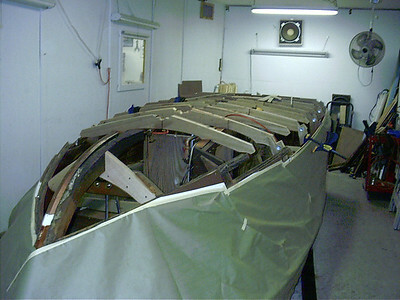 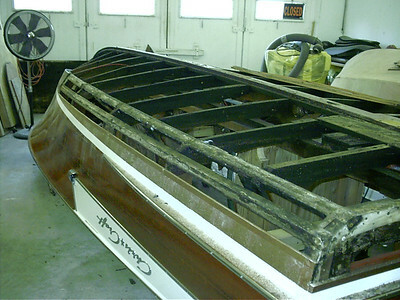 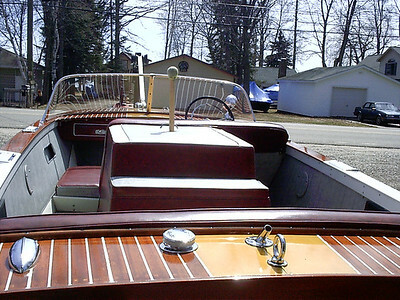 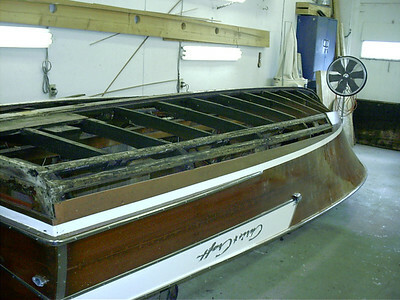 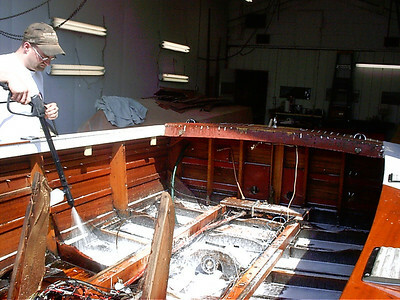 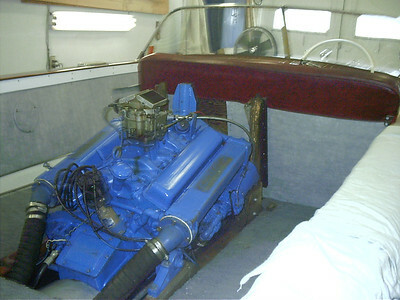 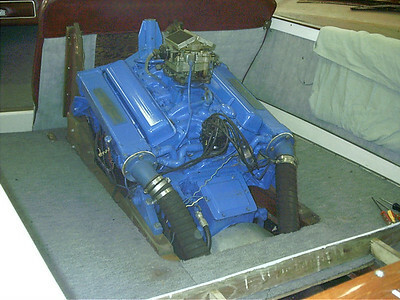 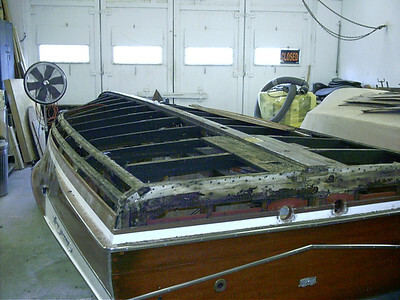 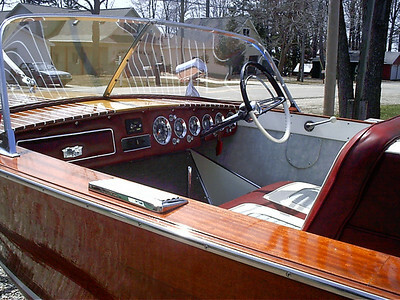 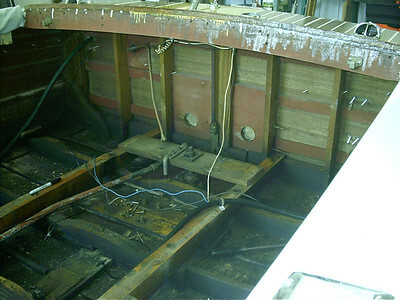 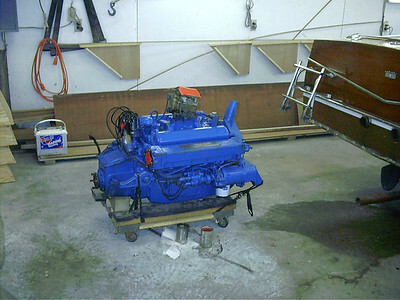 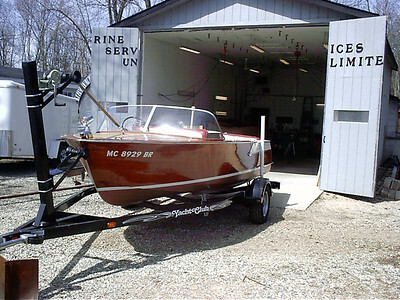 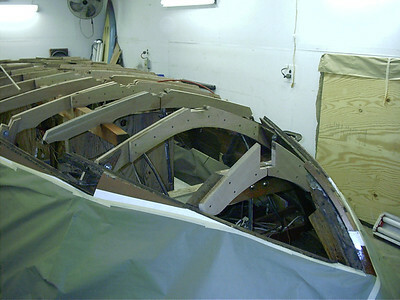 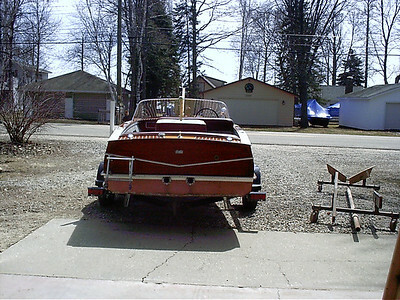 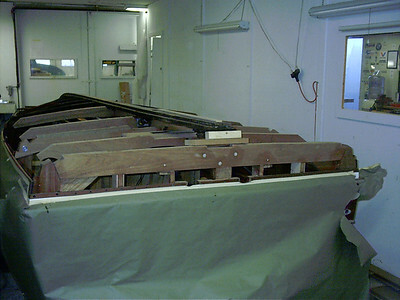 1960 Ski boat in for a complete bottom and frames. 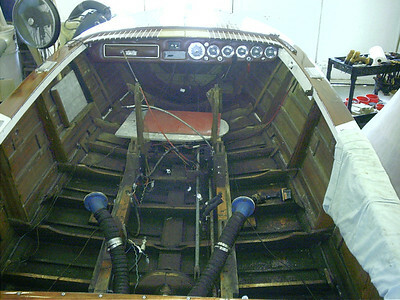 View looking forward with interior removed. 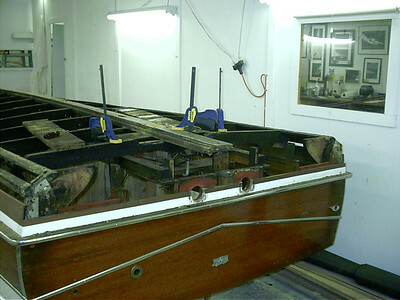 Frames and keel completly oil soaked. 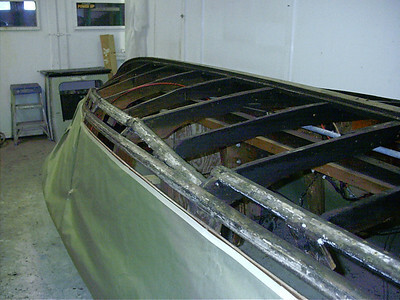 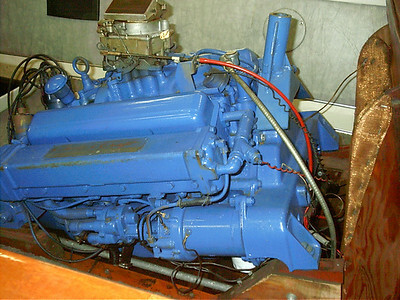 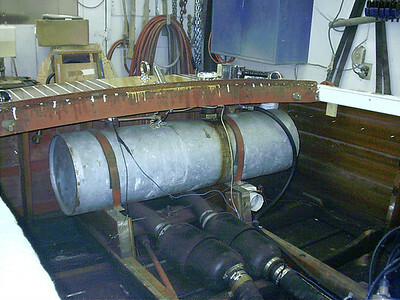 Rear view with fuel and exhaust removed. 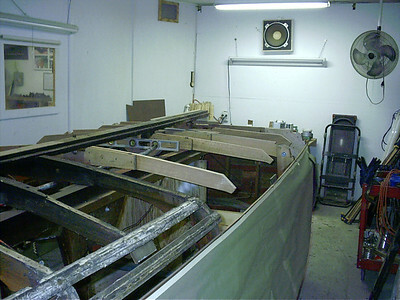 Starboard view of new frames. 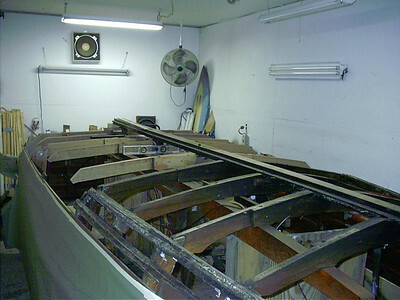 Starboard front view of new frames. 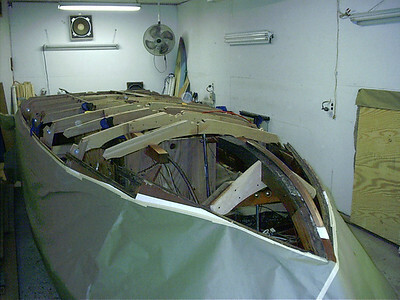 Port front view of new frames. 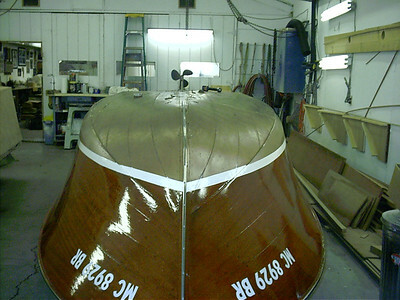 Port front view of new brest hook installed.